When it comes to surfing the web, the number of web browsers available for use isn’t that limited. But in spite of all that, most of us stick to Google Chrome for a number of reasons. The first being, it is a part of Google’s vast ecosystem, which can help us avail all the services offered by Google with minimum or no hassles. The second being, Chrome is really very fast in loading webpages, which can help us get the best experience of using the internet, even on a slow internet connection. But the availability of a huge number of apps on the Chrome Web Store is one of the reasons, why I personally think Google Chrome is great and used by around 1 billion users worldwide. But if you use multiple web browsers for different requirements, you might already be using the open-source Mozilla Firefox, Opera, Safari, etc. 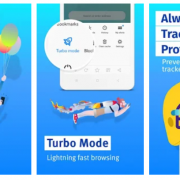 Talking about the Opera browser, which is quite popular for its light weights and the features it offers, it also has a Store, where you can download different add-ons, apps, and plugins to enhance the productivity of your web browser just like any other popular web browser of today. But unfortunately, the collection of apps in the Opera Store isn’t as versatile as the Chrome Web Store, which has different apps for all types of users out there. But there is a way to install and run Chrome apps on Opera. I will discuss the way here. 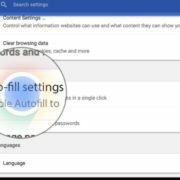 So without further ado, let’s get started with how to install Chrome apps and use them on your Opera browser. Step 1: Open the Opera store and search for ‘Install Chrome Extensions’ unless you find the extension or app, which look kind of this. Just click on ‘Add to Opera’ to download and install the extension to Opera. 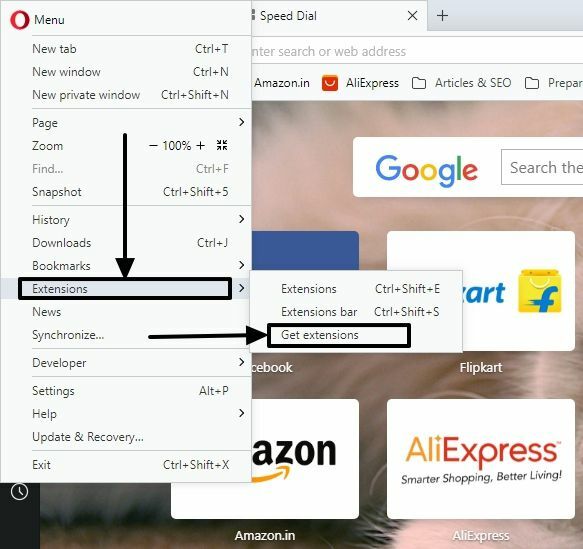 Step 2: If you don’t know how to search for extensions on Opera, just click on the Opera menu icon, navigate to ‘Extensions’ and then click on ‘Get extensions’. Step 3: Once the extension is added, you will get the following icon on the right of your Opera browser’s address bar. Don’t click on that, as it isn’t going to yield any results. Step 4: Now open the Chrome Web Store by with this link. Bookmark it just like any other website to access it quickly anytime. 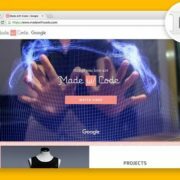 You will get that good old interface like the Chrome Web Store on Google Chrome. Step 5: Now search for an extension or app that you want to download on the Web Store, and click on ‘Add to Opera’. I am installing ‘Pocket’ to show this tutorial. Step 6: On doing that, you will get the following dialogue box. Just click on ‘OK’ to complete the installation. Step 7: The ‘Extensions Manager’ will open, where you will have to click on ‘Install’ corresponding to the app or extension that you have recently installed on your Opera browser. Finally click on ‘Yes, install’ to complete installation of the selected app or add-on on your Opera browser. Step 8: Keep installing your other favourite apps and the icons for every single app should be visible on the right side of the Opera address bar. Just open the Chrome Web Store to install apps and extensions on your Opera browser from time to time with the following tutorial. So that was easy. I installed a number of apps and extensions on my Opera browser using this tutorial, and almost all of them worked like a charm. All apps though might not run as flawlessly as you want it to be. I tried installing the HTTPS Everywhere Chrome extension, but it didn’t work. 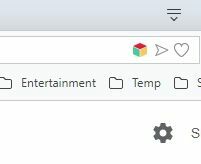 Though HTTPS Everywhere is also available for Opera browser, I tried installing different kinds of apps and extensions to find out which work, and which doesn’t. 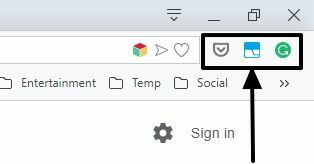 I installed the Chrome versions of Pocket, Grammarly, Session Buddy, a tab manager for browsers, and each of them worked flawlessly without any limitations, and they worked exactly the same way as they worked on Chrome. Just in case any of your favourite app or add-on don’t work out as expected or at all, you can either search for an alternative of the same on the Chrome Web Store and install it on Opera browser or search for the same on the Opera’s own native store altogether. 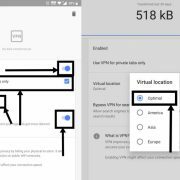 Your ultimate goal is to get your job done, and the ability to download Chrome apps will surely open more avenues to get a lot more out of your Opera browser. So that was it. Hope the information was helpful for you. Do you have anything to add? Feel free to comment the same down below.